It’s important before you adopt a mini pig from ANY place that you double check to make sure you are allowed to own a pig where you live. Not all towns, cities, villages, subdivisions, and platts allow mini pigs. A lot of places consider mini pigs “livestock” even though they are much smaller and easier to maintain. Landlords have had far too many problems with large pet pigs being destructive on their property and rarely allow renters to own them. 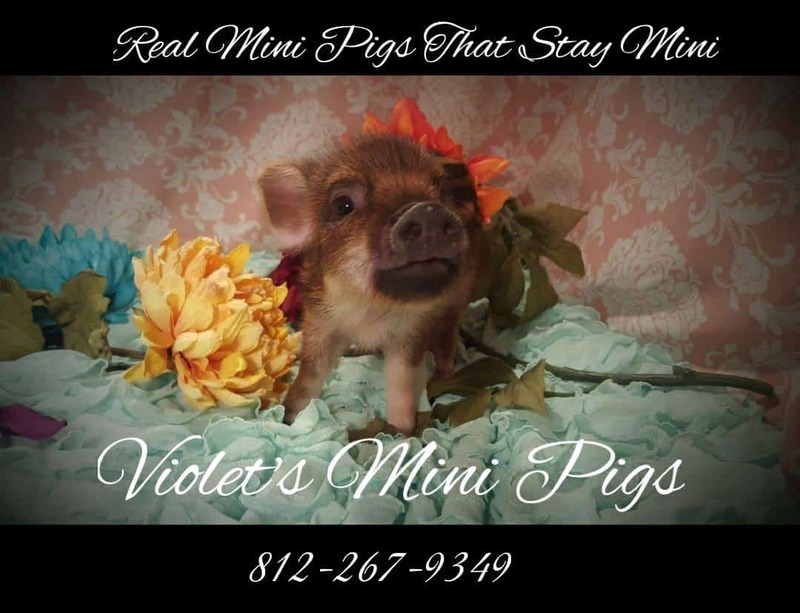 If you rent, CHECK to make sure you are allowed to own a mini pig. We will gladly speak to your landlord and answer any questions they may have. We’re sorry, but we prefer to not adopt out to people that live in apartments. Although each situation is different, an apartment poses lots of problems. A pig needs a yard when older to play, and makes noises (though not cumbersome) that not everyone may appreciate. Owning an apartment leads to rehomings, and we prefer to not add to the problem of mini pigs needing homes (although we will always provide our babies a home if need be & ALWAYS take back our pigs). An “HOA” may also prevent you from adopting if it is written in the guidelines/rules that a pet pig is considered livestock and not allowed. A quick message to your HOA representative will quickly clear things up and get you a straight answer on whether or not owning a pet pig in your neighborhood will be tolerated. ~ALWAYS get everything in writing. Never rely on someone’s word. 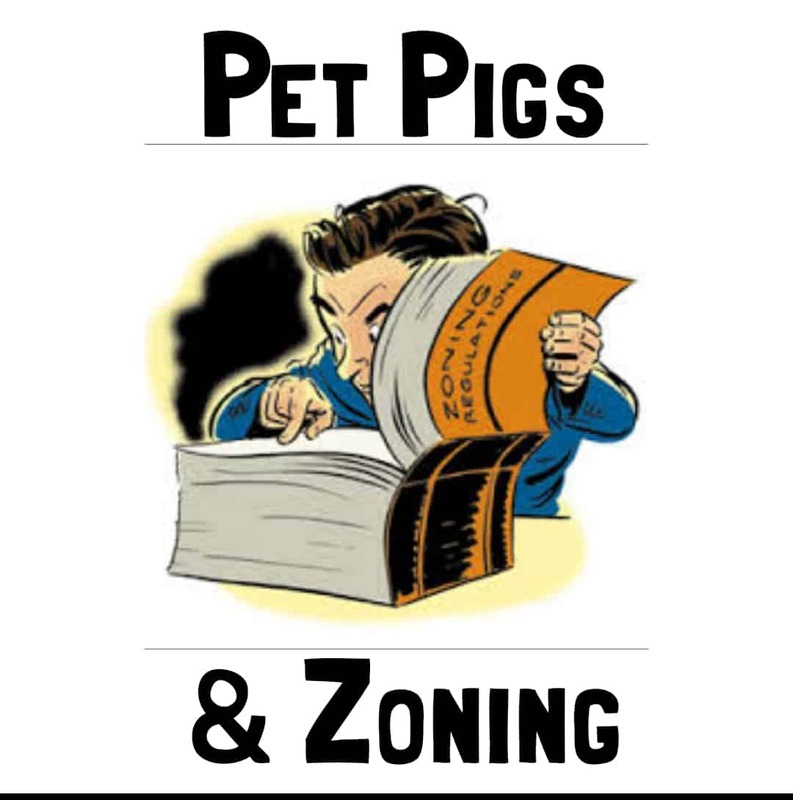 ~Animal control can be a good source as to whether or not your area is allowed to own a mini pig, but your 100% answer will come from your zoning department. ~If you aren’t sure who to contact, contact us and we will be more than happy to find out who you need to get a hold of.. sometimes it can be tricky. ~NEVER try to own a pig where you aren’t allowed to. It never ends up working out well in the end, and the animal is always the one who ends up suffering.